I use this on everything, in competitions I use it on my chicken thighs and pork butts. It also great on burgers, chickens and even fish. 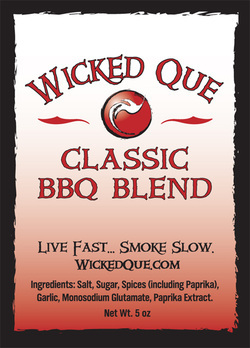 Used by professional bbq teams to bring their pork and brisket to the next level. Just mix 1/3C with 2 cups of warm water and inject 3 hours prior to cooking.